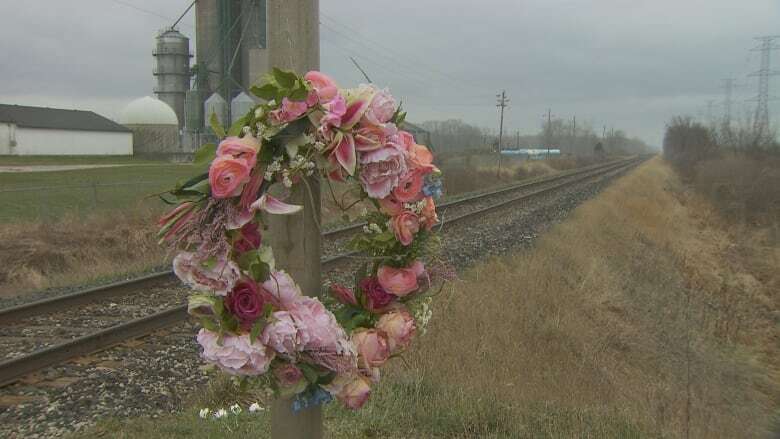 Though Transport Canada has a list of the 500 "highest risk" railway crossings in the country, it does not routinely share that information with the public or local officials, including those in an Ontario community that last week saw two women struck and killed by a Via train. CBC News has learned Transport Canada does not routinely warn the public about all railway crossings that appear in its database of the country's 500 "highest risk" crossings. CBC has obtained a list from 2014 generated by special software designed to predict potential accident "hot spots" — information not often shared with the public or local communities. ​What's more, a CBC investigation has determined Transport Canada failed to warn local officials in southwestern Ontario that the crossing where two women were killed last week — when their car was struck by a Via passenger train — was ranked as the fourth "highest risk" crossing in the country. "Wow. That's scary," Southwest Middlesex Mayor Vance Blackmore said when CBC News showed him the list. "I've been a municipal politician for nearly 25 years. I grew up in this area. I've never heard tell of that before." 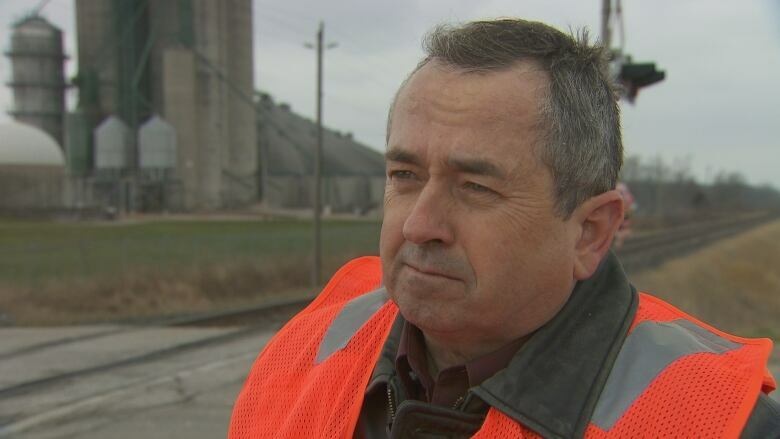 Chris Traini, the chief road engineer responsible for Melbourne Road in Southwest Middlesex, which is southwest of London, also confirmed he's never been warned about any risks at the CN Rail crossing. ​Traini says federal officials should be warning local communities and sharing the information. "Never mind top four. Top 20. Top 50 in Canada — I feel they should have a duty to consult with the municipality," he said. 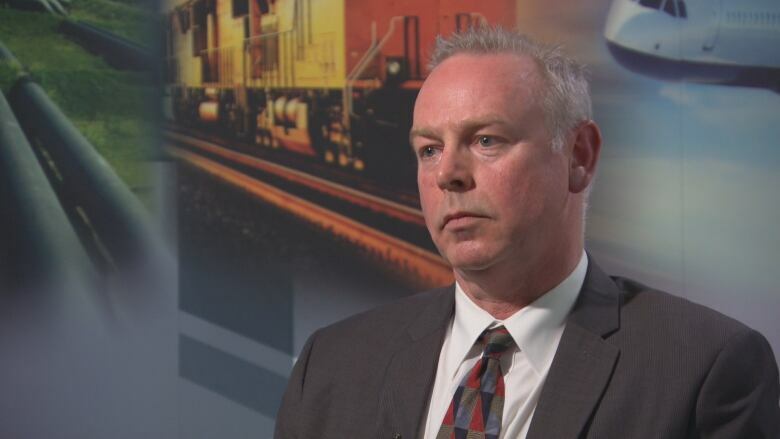 "If they have information that's being withheld that could make travel in Canada and our municipality safer, [then] I think they are not holding up their end of safety for railways." Transport Canada said in a statement that it last inspected the crossing in September 2014 and "the crossing met all requirements." Last Monday's crash, which killed the 39-year-old driver and her 37-year-old passenger, is the second fatal collision at the crossing in two years. On Wednesday, after this story was published, Minister of Transport Marc Garneau said in the Senate that he is ready to give municipalities access to GradeX — the software that the "highest risk" rail crossings list is based on. Garneau added that he plans to consult municipalities more about this when he meets with the Federation of Canadian Municipalities later this month. Transport Canada's relies "daily" on GradeX — developed by civil engineers at the University of Waterloo. The system uses historical accident data as well as measurements of train speeds, traffic volumes and sight lines at crossings to calculate potential risks. "It's a very effective tool, especially because the approach that was taken [was] to look at identifying the potential for accidents," explained professor emeritus Frank Saccomanno. He says the system was designed as a "decision-support tool" to help Transport Canada and its inspectors on the ground prioritize which crossings need fixing and to measure the effectiveness of upgrades. "Obviously, in a situation where you have limited safety funds, you can't spend money on everything. So you need to identify the ones that … give you the biggest bang for the buck. You know the crossings likely to result in accidents in the future," Saccomanno said. Saccomanno's GradeX research partner, Prof. Liping Fu, told CBC News he reviewed the crossing system data after learning of last week's fatalities in southwestern Ontario. "I just did some test runs on GradeX and did find that the crossing was ranked very high in terms of collision risk," Fu said. The crossing at Melbourne Road ranks near the top due to high train volumes, heavy road traffic and the roadway speed limit of 90 km/h at a crossing marked by flashing lights and bells without an automated gate. Over 3,524 accidents since 2000. Close to 30% of accidents have led to death or serious injury. 50,000 kilometres of main rail lines coast to coast. There have since been calls to install automated gates at the site, but CN Rail and the municipality confirm that, at the time of this month's crash, there were no plans for any upgrades. Currently there are just over 17,000 public rail crossings in Canada — 17 per cent have gates, 22 per cent have just bells and lights, while the remainder (slightly more than half) have no automated warnings at all, only a white, reflective X crossing sign, at times accompanied by a stop sign, according to data maintained by Natural Resources Canada. Since 2000 there have been more than 460 people killed at rail crossings according to data from the Transportation Safety Board. After years of discussion between railways, municipalities and Transport Canada, the federal government in 2014 passed new regulations to require some upgrades across Canada, but existing crossings aren't required to meet these new safety standards until 2021. CBC News contacted numerous municipalities across Canada including Winnipeg, Edmonton, Calgary and Ottawa and found most had never heard of GradeX or the list of top 500 "hot spots" — let alone been told by Transport Canada about all the particular crossings identified within their communities. The small city of Spruce Grove west of Edmonton has two rail crossings in the top ten but has never been warned they were labelled "highest risk," according to city spokeswoman Jennifer Heatherington. "CN was there last year doing some repairs," Heatherington told CBC News. She says each year city officials meet with Transport Canada but says the fire chief, and local engineering and public works departments were never notified the crossings were flagged as being in the top 10 in the country. CBC News obtained the 2014 list, labelled "Top Risk 500 crossings," directly from Transport Canada's media spokeswoman Natasha Gauthier. But the department does not routinely make it public or share it. Officials refused to grant CBC News access to GradeX.ca, the web portal that contains the records and data about each crossing. In a statement issued yesterday, Transport Canada said the 2014 list is a snapshot and "would not be the same if generated today, especially if you consider that the data used is now out of date and would not reflect any recent changes to the crossings such as upgrades to signals or barriers." However, CN spokesman Mark Hallman told CBC News there have been no upgrades to the site in the last two years and that "Transport Canada has not communicated any concerns to CN about the Melbourne Road grade crossing." Last year, Transport Canada published a reviewof its own Grade Crossing Improvements Program that is used to fund upgrades identified using the GradeX system. Transport Canada noted "accidents and fatalities at crossings persist, despite a long-term trend of reduced accidents." The department acknowledged it has done a poor job communicating with local communities. "While Transport Canada regional inspectors have, in some cases, identified and discussed potential projects for applications with railways and road authorities, there has been no comprehensive and systematic national effort to identify and conduct outreach with stakeholders specifically to target the highest-risk crossings across Canada," the review states. Dan Holbrook of the Transportation Safety Board says he only recently became aware of the GradeX system. "There's no point in keeping valuable safety information secret. Get it out there," Holbrook said. He says TSB crash investigators always issue warnings or public advisories if they detect a problem in the course of an accident investigation. "We don't sit on that. We get it in the hands of the people who can do something about it ASAP. I have a sense of urgency, if I know something, heaven forbid that something happens in the interval between when you identify something and the agents of change are notified. There's a sense of urgency for me to get that information in the public domain." Transport Canada declined CBC's multiple requests for an interview for this story. For confidential tips on this story please email dave.seglins@cbc.ca, iteam@cbc.ca or visit CBC Secure Drop to send documents to CBC News.